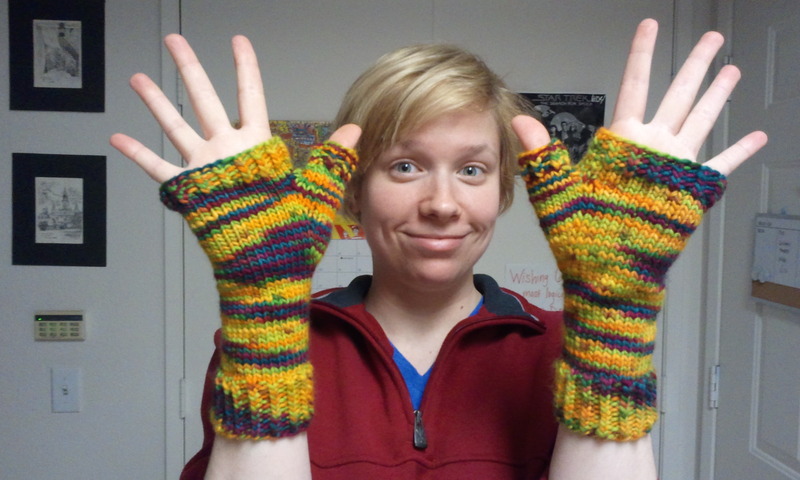 I KNIT FOR JUSTICE | okay, not really. OH HEY I’M BACK ALREADY. Betcha didn’t expect that. Popping in real quick to post another FO. 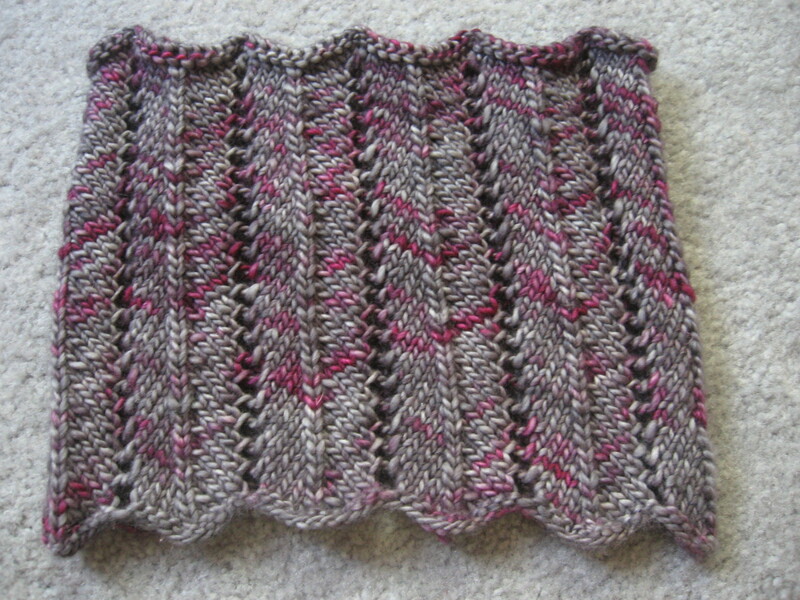 This scarf had been on the needles since May 2012, and I was just knitting it off-and-on, just for something to do while in between bigger projects. But now it’s finished! 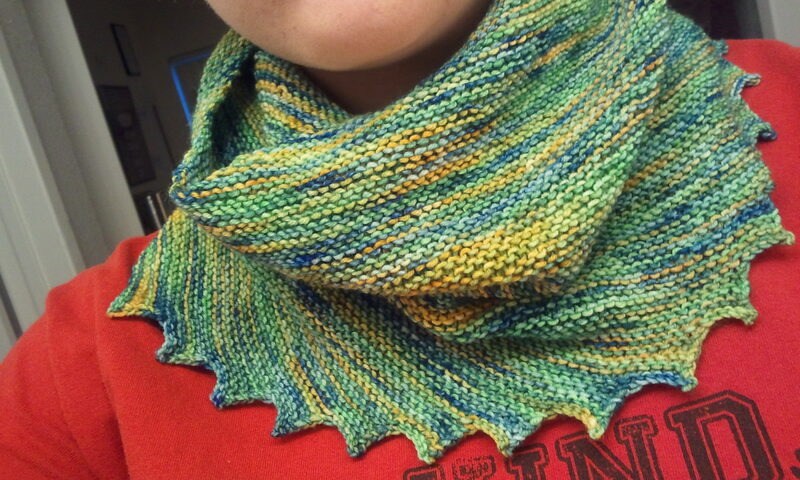 The yarn is Araucania Ruca, which is 100% SUGAR CANE. 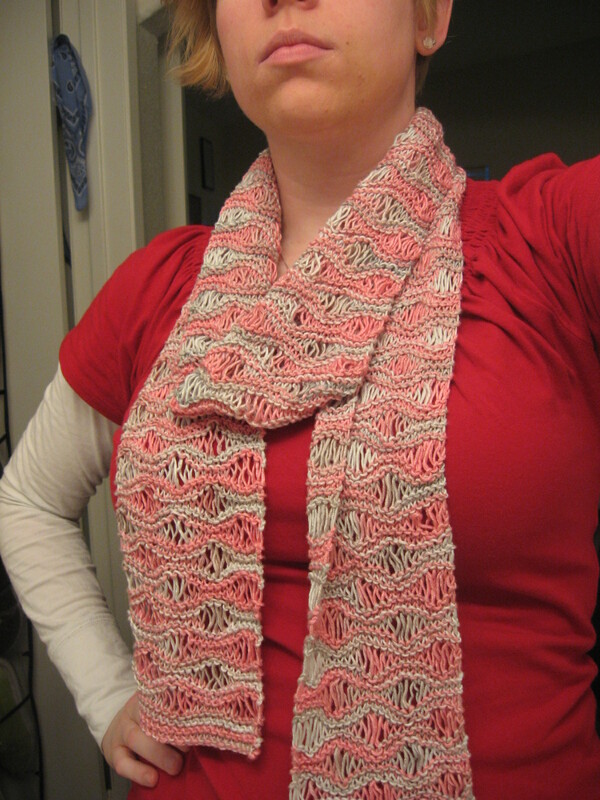 I used it to knit a cowl in the beginning of 2012, but it never got worn, so I reclaimed the yarn and decided to make this scarf. 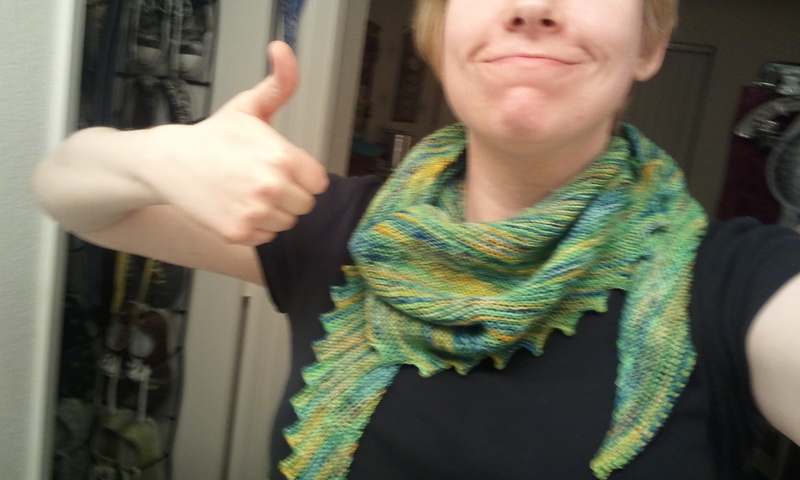 I’m so glad I did – this patter suits the yarn way better than the cowl did. The project name is in reference to a Panic! at the Disco song. 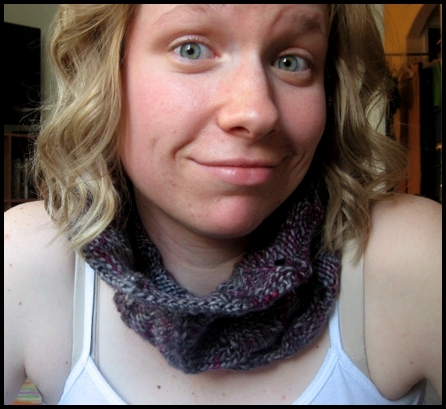 Maybe next time I’ll blog about the BFF Cowl that my babe Christina made. SOMEONE REMIND ME. 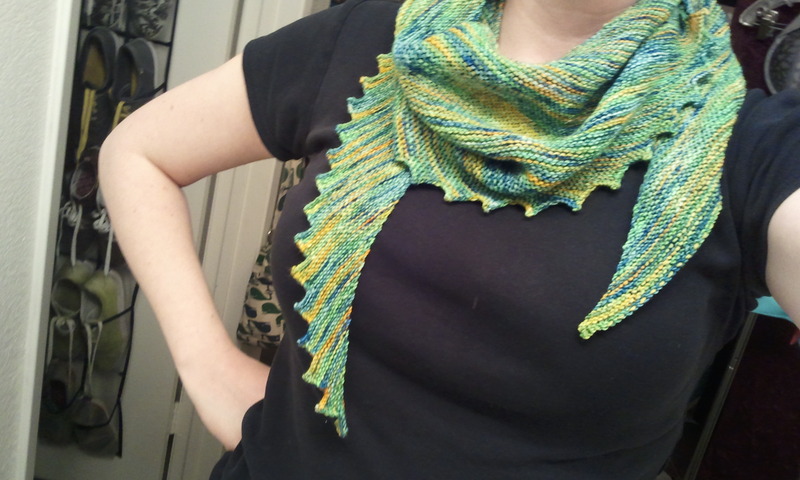 FIRST: I don’t want to talk about the Hunger Games shawl. SECOND: I want to blog more! Again! And I know I said that at the beginning of 2012 SHUT UP. 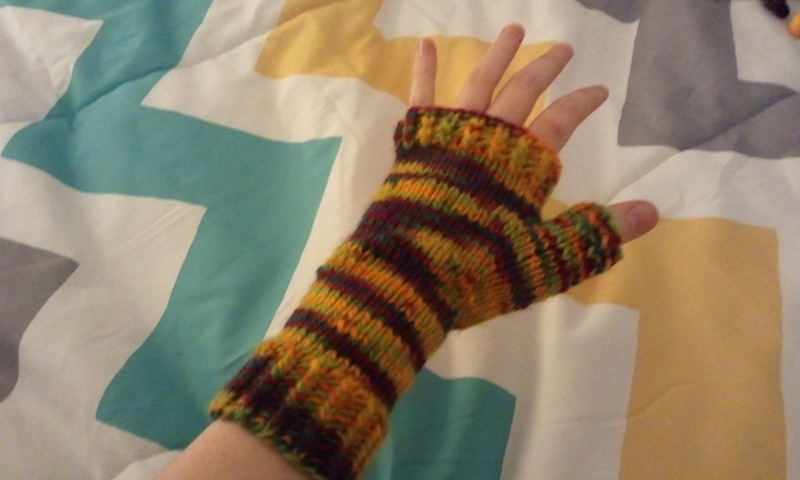 My regular Wednesday knit group, SCKCS, gained a new member recently, and her name is Marie, and she and I have been messaging back and forth on Ravelry about books, and nerdy things, and blogging, so we’re going to be each other’s cheering section! THIRD: HERE ARE SOME FOs. I am so hip I have trouble seeing over my pelvis. If you are a fairly large nerd like I am, you should get that reference. If not, try this. 3 failed attempts to start the first design this afternoon. 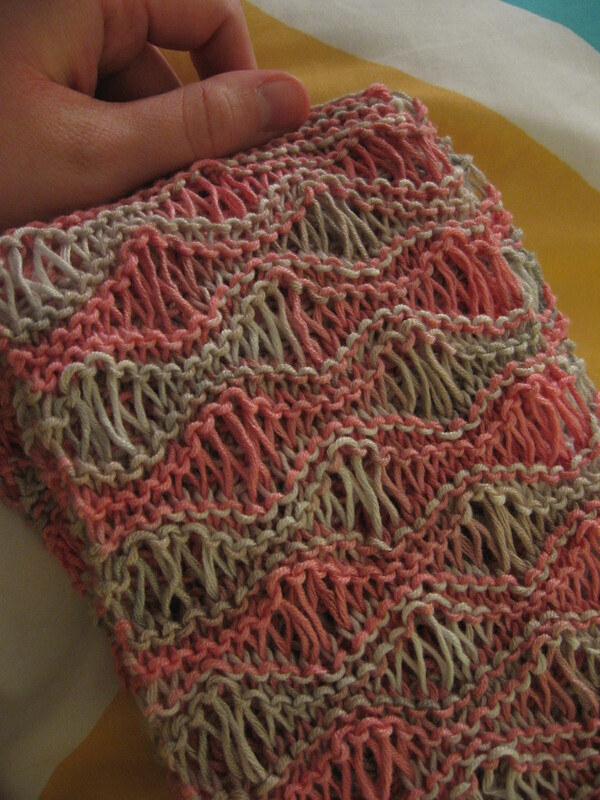 Roughly 2 hours spent knitting, ripping, knitting, ripping, knitting, ripping. I’m having visualization and translation issues. I know what I want it to look like. I can sketch it out. But I can’t make it work in stitches. I’m putting it on hold until tomorrow, my knit night, and maybe I’ll pick it back up and give it another shot. We’ll see if this actually ever gets done. The girl who was on fire. I’m a huge fan of The Hunger Games. If you haven’t read this amazing book (and the rest in the series: Catching Fire, and Mockingjay) GET ON IT. IMMEDIATELY. 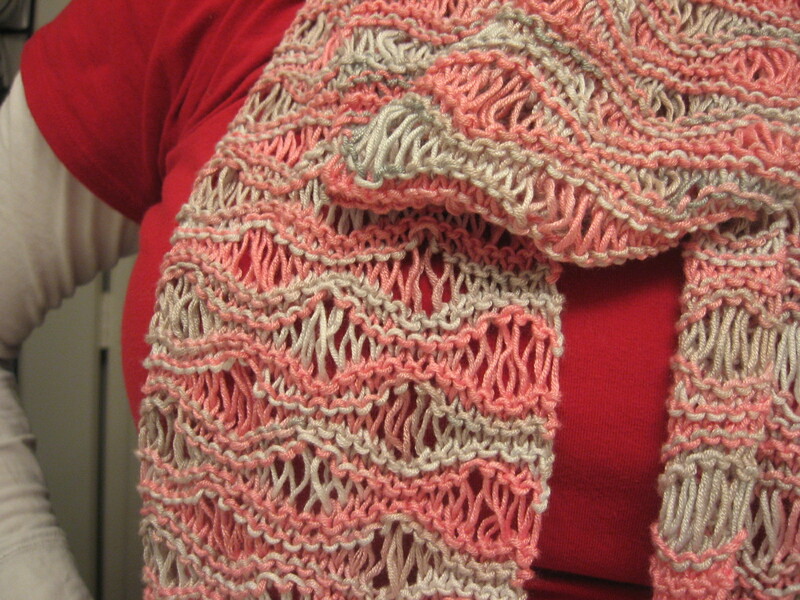 Recently, I’ve also been thinking about designing a shawl pattern. 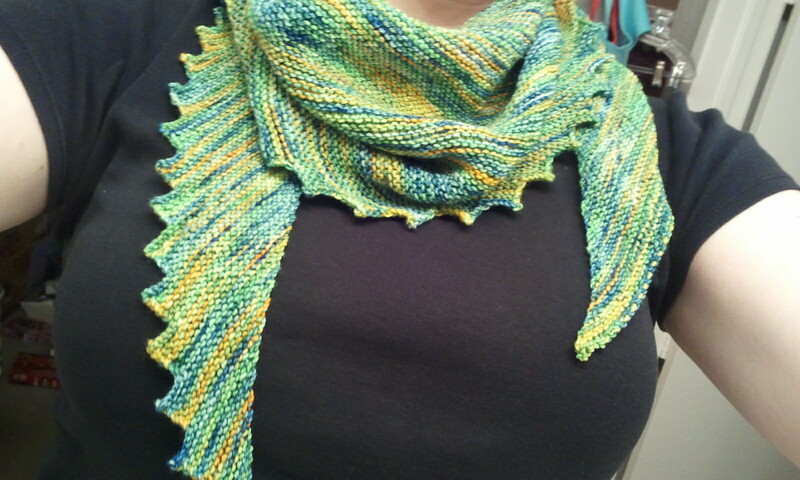 At my weekly knit group meeting, a friend suggested I design a Hunger Games shawl. I latched onto the idea immediately, and it’s been rolling around in my silly little head ever since. This morning, though, it took on a new intensity. 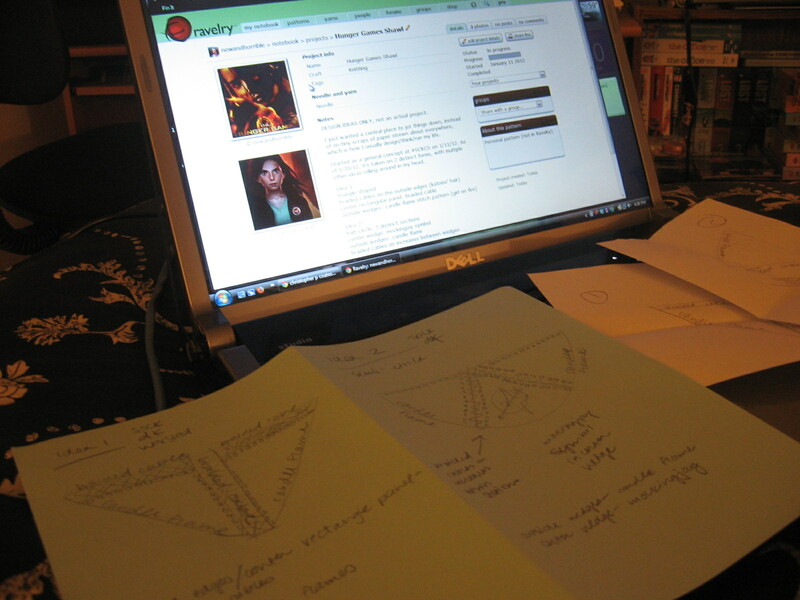 I spent a good 30 minutes sketching out two different designs for the shawl. One will be triangle-shaped, the other more a semi-circle, both with cables and a candle flame stitch pattern, to signify Katniss Everdeen, the girl who was on fire. scattered out over little scraps of paper. I need to start working on them right away, because I can’t get the ideas out of my head! Also, for 2012, I made an unconscious resolution to post here at least once a month. SOMEONE HOLD ME TO THAT, PLEASE. 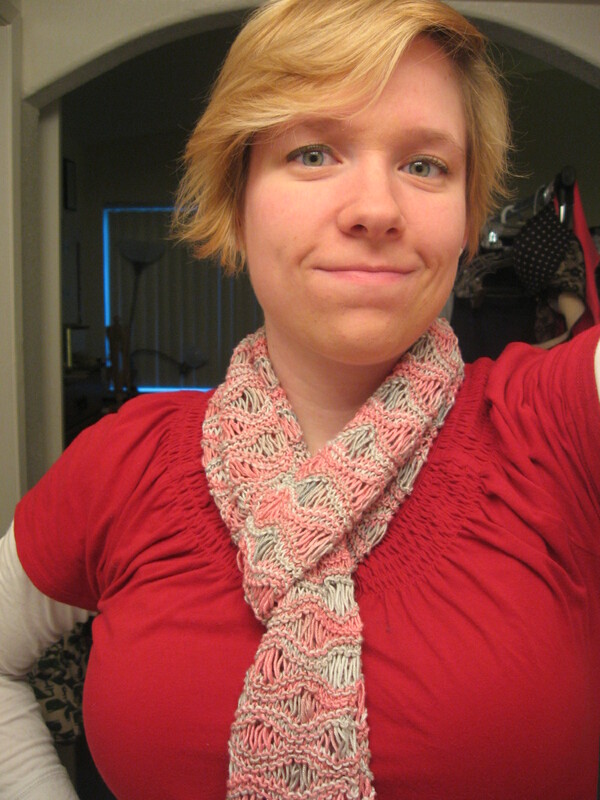 Since I’ve neglected this blog, I haven’t updated you about my adventures in the Knit. Sock. Love. 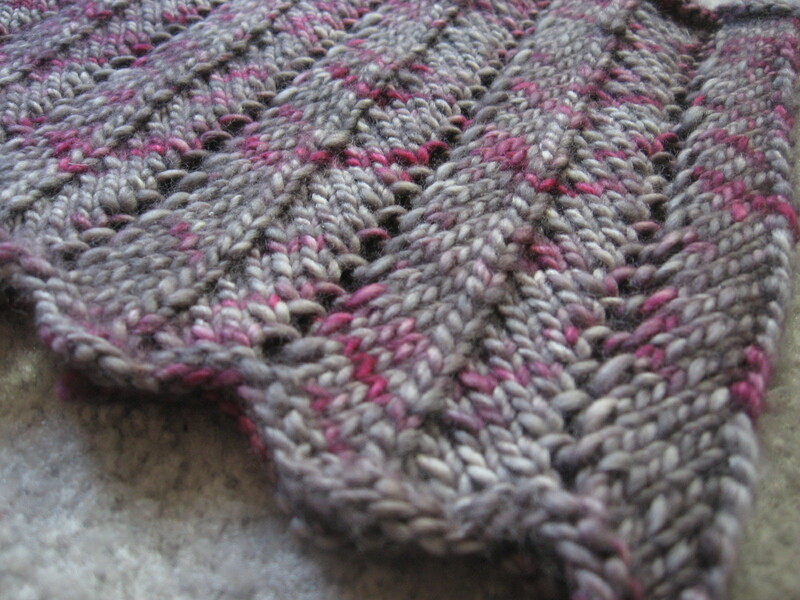 knit-along on Ravelry! 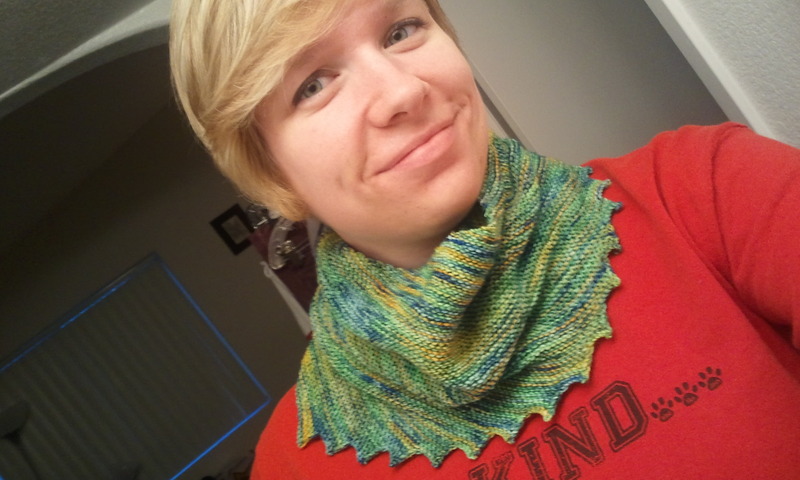 For the past 11 months, I’ve been participating in the most challenging, and the most rewarding, knit-along! We’re knitting all 19 patterns from Cookie A‘s newest book, Knit. Sock. Love. LONG TIME, NO SEE. AMIRIGHT? 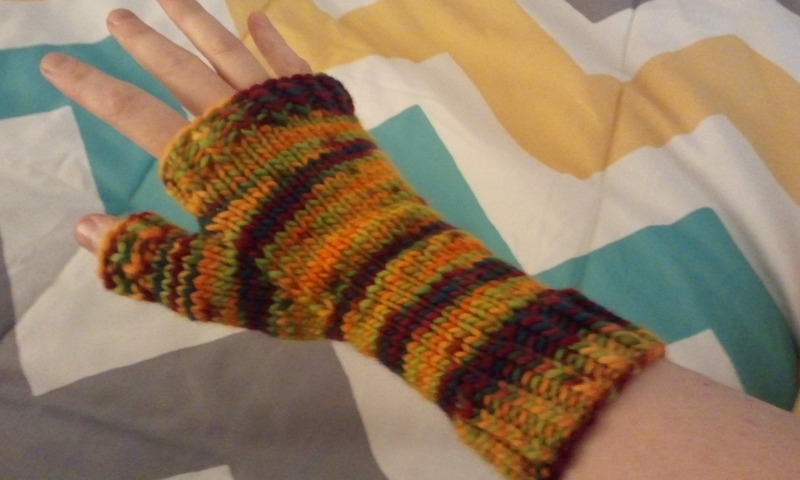 I have a new pattern! 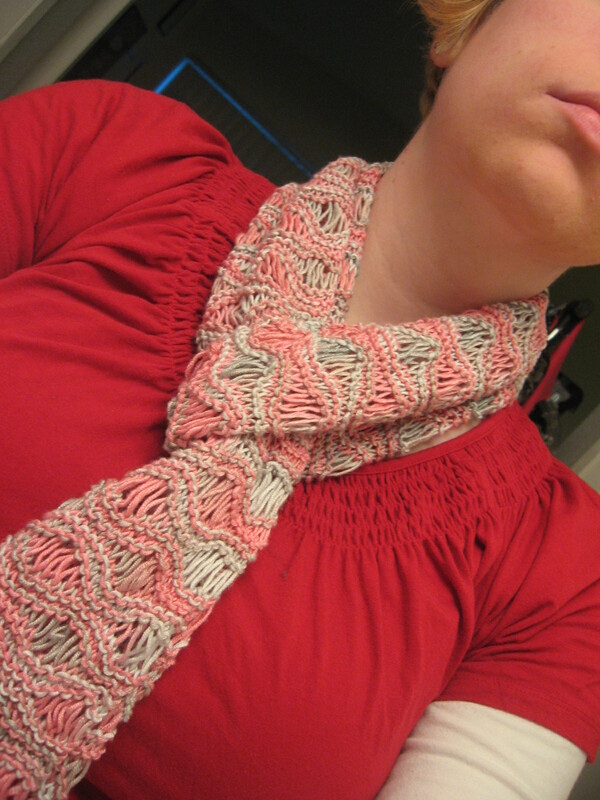 Just a simple cowl, knit in super luxurious Madelinetosh. It’s called Chutes and Ladders, and it’s available as a free Ravelry download or as a PDF download from the Patterns page! So, this afternoon, I busted my ballwinder. I was balling some of the Malabrigo Sock I mentioned in the previous post, and it wasn’t doing what I wanted it to do, so I got frustrated, hit it a few times, and then, when I tried to use it again, the handle snapped off. I did what any other frustrated knitter would do, and immediately unclamped it from my desk and threw it across the room. So, devoted (read: nonexistent) blog readers, which ballwinder should I get? I had a used Royal ballwinder before I got the KnitPicks one for Christmas, and despite being slightly busted (I got it as a hand-me-down from Dani when she got her super-monster of a baller) it worked well. I’ve run across Lacis ballwinders that seem comparable, but for half the price of a Royal. I am 100% NOT interested in one of the Nancy’s Knit Knacks winders. I don’t need a giant wood contraption. Plastic is cool with me. Leave me a comment with your preferred ballwinder! ps: I’ve had a super-crafty-failure weekend. Give me some ideas for instant-gratification-super-easy projects to shake me out of this funk!